No offense meant, but it IS possible for a group of self-righteous people to commit unthinkable acts against the best interests of humanity and THINK that they’re doing “good” for that same group of humanity. That’s the benefit of the doubt that I’ll give the minions of both the Vatican, and the FDA, although I’m also sure that certain factions within, or above them both, knew the harm they were doing and didn’t care. Does that make me a conspiracy nut? Not when we can now see harm that is “hiding in plain sight.” When we believe that one human being (or system) can be “above fallibility,” “above suspicion,” or “above the law,” or that a badge, credential, superior numbers of believers, or guns makes a person “good,” or “right,” then we put a perceptual line around them that implies it’s not to be crossed. The circle of harm then advances with our tacit approval. You wonder how many children are being vaccinated today, every day, or drinking 44 oz. GMO-sweetened beverages at “convenience stores” while we sit back and watch the numbers of chronic illnesses across all age ranges skyrocket? The entire social system is out of whack; fixable, but out of whack nonetheless. All the respected idioms and institutions that we’ve come to define our society by, from “free enterprise” and “higher education” to science, medicine, commerce and industry, banking, and jurisprudence, to “freedom of speech,” “liberty and justice for all,” all come with very large asterisks and disclaimers. Look at how we tip toe and dance around the use of the word “cure.” If you listen to the FDA, only a drug can be “curative.” They even seem to believe that it’s true. Except that it’s not just a lie, but a damn lie. But ask an “expert” who still cares about being able to make a living, and he’ll tap dance until the cows come home, being careful not to curry the displeasure or wrath of the Great FOZ. However, the simple fact is that no synthetic, unintelligent, disruptive, destabilizing, destructive chemical or energy will ever “cure” a metabolic dysfunction in any living organism. Ergo, as long as we ignore the living dynamics that caused the dysfunction in the first place, we will forever be looking, running, walking, or otherwise searching for “cures” in vain… just as someone seems to want us to. Daniel and Karis Smith, and Tammy and Chris Olson have been in custody since January 25, 2013 after an indictment was obtained by the Justice Department and urging of the FDA. He is challenging the indictment as well as seeking release on his own recognizance. Here is a small sampling of sites where the story has been picked up. Written by one or two people or agencies, then cloned widely. Pretty much the same story, picked up many places. The news of Daniel’s plight (or sin, depending on POV) is spreading, as well as help. This letter was sent from France. WE ALL KNOW THAT DANIEL AND HIS FRIENDS ARE GOOD PEOPLE AND WOULD NOT HARM ANYONE. OBVIOUSLY IT IS NOT THE CASE OF THESE ILLEGITIMATE INSTITUTIONS LIKE THE FDA PREVENTING ACCESS TO NATURAL REMEDIES TO IMPOSE UNSCRUPULOUSLY ON THE MARKET HIGHLY TOXIC SUBSTANCES AS ASPARTAME AND MANY OTHERS. THEIR CONCERNS IS NOT PEOPLE’S BENEFIT – BUT PROFIT – THEY ARE THE NOTORIOUS ENEMIES OF MANKIND. 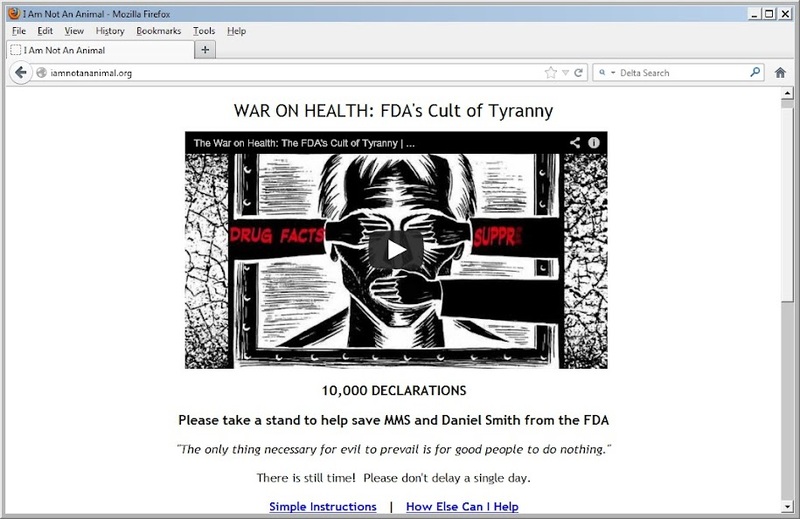 FDA IS ACTING WORSE THAN THE GESTAPO – AMERICA IS THREATENED BY THEM TO BECOME A FASCIST DICTATORSHIP – WE MUST HELP DANIEL AND HIS FRIENDS AGAINST THIS DANGEROUS GANGRENE FOR THE ENTIRE PLANET. FDA IS SABOTAGING PEOPLE’S LIVES. IT WILL HAVE TO ACCOUNT FOR ITS CRIMES IN FRONT OF A PROPER INTERNATIONAL UNCORRUPTED TRIBUNAL AND REPAIR FOR ALL THE HARM AND PREJUDICE DONE TO ALL THESE HONEST PEOPLE OF GOODWILL AS DANIEL SMITH AND ALL HIS FRIENDS. WE WISH THAT YOU REGAIN YOUR LEGITIMATE AND ORIGINAL INSTITUTIONS MADE BY THE PEOPLE AND FOR THE PEOPLE AND SEND THOSE UNDIGNIFIED TYRANTS IN ETERNAL OBLIVION. HERE IN FRANCE BANKS HAVE TO REFUND PEOPLE THEY TRIED TO ROB AND PAY FOR THE PREJUDICE. THEY ARE STARTING TO SHAKE SERIOUSLY IN THEIR BOOTS. THERE IS A LIMIT TO WHAT HUMANS (but are they still human?) CAN DO TO OTHER HUMANS. WE ARE ENTERING A POWERFUL AWAKENING TIME. DANIEL AND HIS FRIENDS AND FAMILY ARE CONTRIBUTING TO FREE YOUR COUNTRY – THEIR EFFORTS AND BRAVERY WILL NOT BE IN VAIN. A friend’s wife healed a skin cancer in only 3 weeks with no marks left.. with only 4 drops of activated MMS in 30ml put with a cotton only 3 times a day! His wife’s sister is a doctor and she is very skeptical not being able to explain how her sister got cured, but she got herself a severe hive on her arm and came to my friend for help. He gave her the same treatment – 4 drops of activated MMS with citric acid waited 3 minutes and applied with a cotton – the hives disappeared in only one night! A friend’s mother had 2 metastasis in the liver, she postponed her operation for only 10 days and when she got, operated the first to be shocked were the doctors: no trace of metastasis only tiny bit still drying up. I personally cured a cat rubbing a cloth with MMS on its infected eye and it took only two days (once a day) for the eye to heal. It was thought that a web site, www.iamnotananimal.org, which was set up to allow people to express their support for Daniel Smith and MMS would be useful now, to help influence or obtain their release. However, I learned today that the declaration forms that can be accessed there were created specifically at a time when a grand jury hearing was being organized, and would not be appropriate for his current situation. However, intention is never lost. Sending your LOVING thoughts, in whatever form it comes, can and will help, especially now. For some reason the medical staff at the jail gave Daniel an inoculation, for which he will not be able to take MMS. Needless to say, he lost his right to decline the invitation to take the drug, and now he is feeling its adverse effects. Send each of them LOVE. See them FREE and UNEMCUMBERED, WITHOUT PREJUDICE. Pretty great post. I simply stumbled upon your blog and wished to say that I’ve truly enjoyed surfing around your blog posts. In any case I’ll be subscribing in your rss feed and I am hoping you write once more very soon! I’m truly sorry for I can’t donate as I live in a very poor country and in a very poor conditions. BUT ALL MY LOVE TO DANIEL, all my support with a full heart. I’m convicted that only alternative approach for healing is good, as chemistry in a FDA’s way – kills people. I once used MMS, yes, it is chemistry, but what it did to my health – can’t be compared with official medicine.Suggest to FDA (also WHO!) to have open mind and really HEAL people, not kill them. Would it be possible to set up a http://www.avaaz.org campaign on this?